Thousands of people, holding placards that read “We are here for Ali Ismail and for justice” gather outside a local courthouse (Photo Credit: Adem Altan/AFP/Getty Images). Ali Ismail Korkmaz was among those killed during the Gezi protests in Turkey last June. He would have celebrated his twentieth birthday today. Today, let’s work to ensure that his family sees justice done. 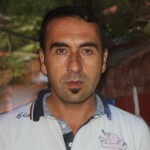 Korkmaz was admitted to a hospital after making his statement, but soon fell into a coma. He died on July 10, 2013. This trial is an important one: a rare case which challenges the culture of impunity in which Turkish authorities typically work. Let's make our voices heard. As Amnesty’s researcher on Turkey, Andrew Gardner, notes in a recent blog, Turkish authorities seemed determined to undermine the quest for justice in the case. Following the attack, the Governor of Eskisehir said that police hadn’t been involved and that Ali Ismail Korkmaz had been beaten up ‘by his friends.’ Footage from a CCTV camera was deleted in the days following the incident, but was subsequently recovered by experts from the gendarmerie. 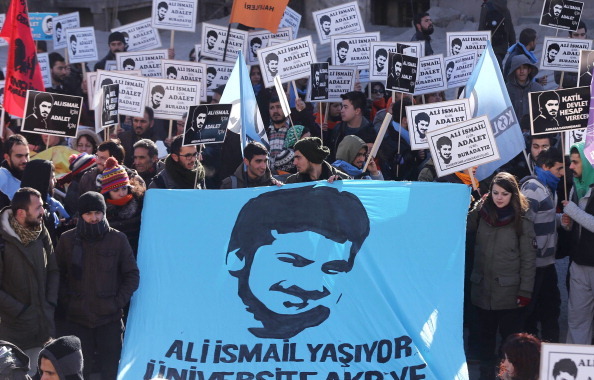 Now, four civilians and four police who have been accused in the killing of Ali Ismail Korkmaz are on trial in the provincial Turkish city of Kayseri. Attempts by protesters to come to the city have been stymied and thousands of riot police were on hand for the first court session. But the mere fact that the trial is taking place is “extraordinary,” according to Gardner. Amnesty has been following the case closely, sending observers to the trials and working to ensure this case is not forgotten. This trial is an important one: a rare case which challenges the culture of impunity in which Turkish authorities typically work. [email protected] All those responsible for the death of #AliİsmailKorkmaz should be brought to justice! Take a photograph of yourself calling for an end to impunity and justice for Ali Ismail Korkmaz. Photographs which highlight that this is a worldwide campaign (perhaps near a local landmark or a sign for city or university) can be particularly effective. Tweet the image using the hashtags @aforgutu and #AliİsmailKorkmaz. These images will be used by Amnesty International – Turkey as both part of their internet campaign and will be displayed as part of Amnesty’s vigil at the next session of the trial, which will be held in Kayseri on May 12. To find out more about human rights concerns in Turkey, follow Amnesty USA’s Turkey Regional Action Networkat Human Rights in Turkey or on Facebook. This entry was posted in Censorship and Free Speech, Europe, Military, Police and Arms and tagged abuses by armed groups, censorship and free speech, economic social and cultural rights, Europe, human rights defenders, international justice, military and police training, Military Police and Arms, reparations for victims, rights for victims of armed groups, Turkey by Howard Eissenstat. Bookmark the permalink.